Established in the year 2002, Rakhi Ohri Couture is a prominent apparel sourcing organization that offers garments for women. Over the years, we have gained immense industry expertise that has enabled us in identifying prominent vendor base across the country from whom we procure our range of products. Further, we offer a very diverse range of spectacular product range that includes- Designer Bridal Wear including sarees, suits, lehengas, bridal gown, semi formal suits, fusion outfits, women western wear, formal & unformal corset. We know that the heart of every woman is her exquisite dream about her wedding dresses and keeping this in mind we bring in for our clients' beautiful range of wedding trousseau. We cater to our Indian woman’s sensibilities and design the bridal costumes that are graceful, elegant as well as sophisticated to make her radiant and resplendent in her attire. This has helped us cater to a niche segment of women’s wear, where the premium is on design and elegance at cost effective, meaningful prices. Being a quality driven organization, we ensure that the quality apparel offered by us comply with international standards. 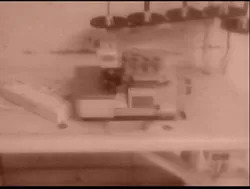 We are also well equipped with latest machinery for the perfect stitching, knitting, designing and finishing of the apparel. Our gamut has been widely appreciated by clients across the globe for eye catching designs and high comfort. Our success depends on our capacity of providing customized solutions, timely delivery schedules and ability to handle minimum and bulk consignments. Further, under the able guidance of our mentor, “Mrs. 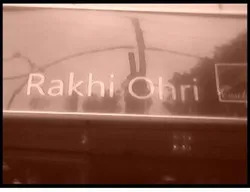 Rakhi Ohri”, we have developed a strong foothold in the industry. With her motivation and futuristic approach, we have been able to earn repeated business orders from our high end clients. Outsource Manufacturer and Trading of Ladies Apparels, Western Dresses, Fusion Outfits and Designer Lehenga. As an established apparel wear designers we offer exquisite and varied product range that is truly popular amongst our discerning consumers. 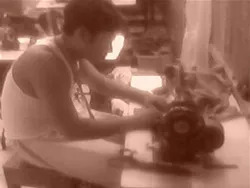 We deliver on quality stitching, classic, modern and contemporary designing and cut. Our choice of fabric, colors, textures and drape are truly marvelous and much appreciated by our global clientele. At the core of our business mandate is achieving a perfect 100% satisfaction amongst our clientele. We are committed to deliver on the quality factor and in fashion it implies multiple factors such as styling, cut, finishing as well as the choice of quality fabric. We therefore offer over and above our own range of products, customized product range matching the requirements as well as the needs of our discerning clients and their varied tastes. We adhere to their technical specifications and meet the deadlines every time.